Not to toot my own horn or anything, but I’ve managed to find some pretty creative ways to use these colorful gourd varieties, from zucchini noodles to sauteed zucchini and even zucchini nachos. 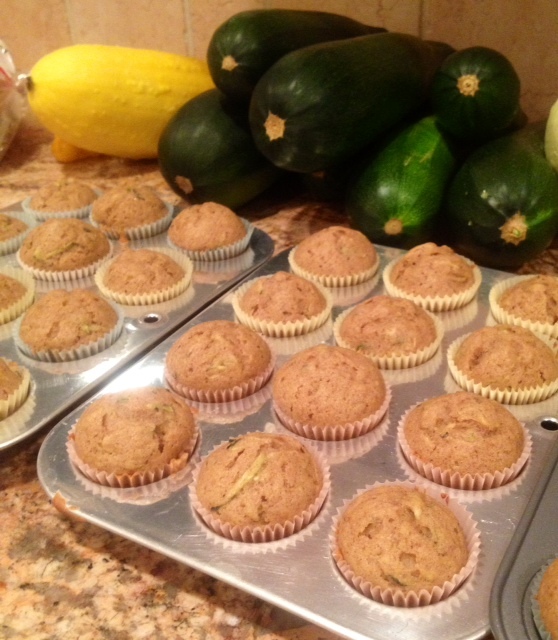 One of my favorite techniques not only uses a lot of this healthy ingredient, it is also cleverly disguised by sugar and spices: baking with grated zucchini! The first time I tried this recipe was with the after-school cooking program I helped to run for first through eighth graders in suburban Chicago. It yields enough of these bit-sized and flavorful muffins to feed an army, works great even at high altitude (now that I’m back in mountainous Colorado) and is super easy and fun to make with kids! I’ll definitely be keeping this one around for years to come. Preheat oven to 425 degrees. Grease muffin pans or prepare them with baking cups. Whisk 2 eggs; add sugar and oil. Beat until all three ingredients are well incorporated and mixture is very smooth. 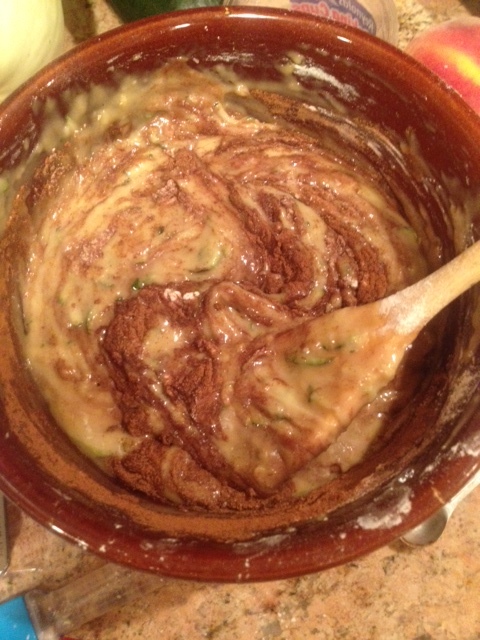 Mix in vanilla and zucchini. Slowly add flour, whisking until there are no flour lumps. Add remaining ingredients. Mix until batter is smooth (other than zucchini!). Pour into prepped pans and bake for 15 minutes. To check for doneness, insert a toothpick into the center of the muffin—it’s done if the toothpick comes out clean.